The Michigan traumatic brain injury lawyers at Buckfire & Buckfire, P.C. have considerable expertise representing individuals who have sustained traumatic brain injuries and closed head injuries. We understand how these injuries impact the victims and their families. Firm brain injury attorneys Lawrence J. Buckfire and Daniel L. Buckfire are members of the Michigan Brain Injury Association and the Brain Injury Provider's Council. A traumatic brain injury, or closed head injury, results when there is either an actual blow to the head or a force that causes an acceleration-deceleration movement of the head. The brain strikes the inside of the skull causing either localized or generalized damage. Closed head injuries can occur from a number of possible causes, including automobile accidents, slip and fall accidents, motorcycle accidents, heavy machinery accidents, and other types of accidents. Brain injuries are diagnosed by all types of physicians, including neuropsychologists, neurologists, psychiatrists, and neurosurgeons. A person can suffer a significant brain injury even though and MRI or CAT scan show normal results. A diagnosis of a brain injury is often made by a neuropsychologist who administers a written battery of tests to the patient. The results of a properly administered and interpreted test are viewed as an authoritative diagnosis of the injury. There are frequent debates between lawyers and even doctors in cases involving traumatic brain injuries and closed head injuries. Because many brain injury victims "look normal" to the average person despite having significant cognitive deficits, there are common myths that must be overcome to prove the serious nature of the injury. Myth 1: There must be a loss of consciousness after the accident. This myth has been disproven by physicians and scientists. A person does not need to be "knocked out" to suffer a traumatic brain injury and even a slight alteration of consciousness is evidence of a serious head trauma. Myth 2: The victim must forcibly strike his head on an object. This is untrue as sudden, unexpected movements of the head can cause the brain to strike the inside of the skull and suffer serious damage and harm. 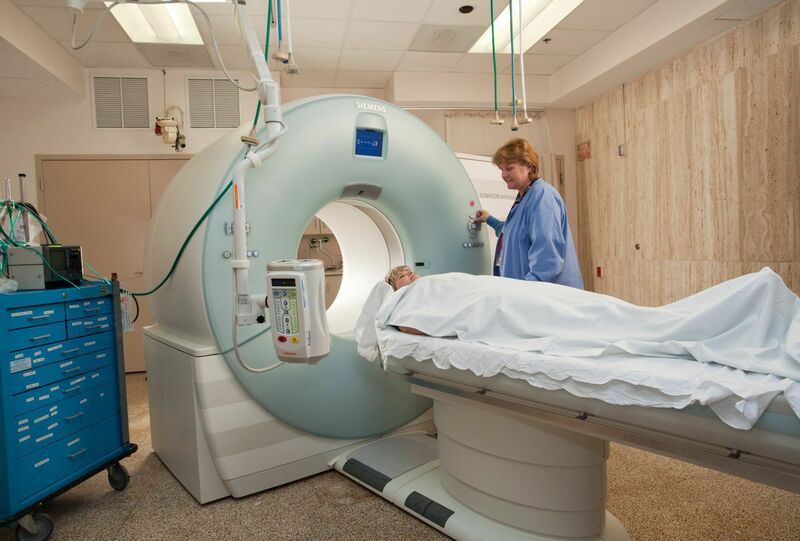 Myth 3: There must be a negative results on imaging studies, like an MRI or CT Scan. It has been proven that a person can have a serious brain injury even with normal results. Myth 4: Most people recover within 6 months of a brain injury. Although some people may have full or partial recovery within six months, many people have lifetime problems that never fully resolve even with extensive therapy and rehabilitation. Our experienced lawyers work with the most qualified brain specialists to prove that you suffered a serious injury and to explain to the jury how it has impacted your life. By using top medical experts and medical illustrations, we demonstrate how a brain injury occurs and how it has functionally changed your life. These symptoms can be temporary, last many months, and even be permanent. The effects of a TBI can forever change the course and outlook of a person's life and have a huge impact on a spouse and other family members. These injuries cause emotional damage, functional damage, and effect a person's ability to live independently, drive, and even work. Traumatic brain injuries are often the result of the intentional and unintentional acts of other people and corporations. When a brain injury is due to someone else's negligence or an intentional act, the victim can file a lawsuit seeking money dmages for the injury. Our Michigan brain injury lawyers understand that these type of injuries have tremendous effect on an individual's ability to lead his or her normal life. Changes in personality affect marriages, families, and friendships. Head injury patients are often unable to return to work and suffer a significant impairment of earnings and earning potential. Further, head injury patients often need expensive attendant care due to their condition. People injured in a Michigan car accident, motorcycle accident, truck accident, bicycle accident, or pedestrian accident, can often have claims for their personal injuries and can file Michigan No-Fault Insurance claims for medical expenses, lost wages, and other benefits. Pain & Suffering - you are entitled to compensation for your pain and suffering from the time of the accident, to the present and even going into the future. Fright & Shock - this includes fright & shock just before and during the accident. Psychological Injuries -like PTSD & depression from the psychological trauma of the crash and the painful emotions of going through the recovery process. Loss of Consortium, or Loss of Society and Companionship from a spouse or immediate family member. How much are Michigan Brain Injury Settlements? The injuries resulting from traumatic brain injuries are often permanent cases involving brain injuries have substantial value. There is no settlement calculator to determine the amount of a settlement, but the key factors include the seriousness of the injury, the permanency of the injury, the effect of the injury on the victim's life, and the economic losses caused by the injury. These damages can be projected into the future over a person's lifetime. Other factors in determining the settlement payout amount include the insurance coverage available to pay the victim, the support of the treating medical providers, and of course, the skill and experience of the attorney representing the victim. Our Michigan brain injury lawyers have a significant track record for brain injury jury verdicts and settlements. We have obtained numerous million dollar settlements for brain injury victims in car accident, truck accident, motorcycle accident, slip and fall, and other personal injury cases for our clients. In Michigan, the time limit for filing a lawsuit depends on how the injury or accident occurred. It varies based upon the case type to case. For example, brain injuries caused by motor vehicle accidents, slip and falls, and other types of general negligence typically have a three year deadline. Cases involving medical malpractice, doctor negligence, and nursing home neglect typically have a two year deadline. The deadlines can be extended for minor children and legally incapacitated persons, so it is important to discuss your case with our attorneys as soon as possible to avoid missing a cutoff deadline. If you miss a deadline, your claim will be lost forever. Chat with our online specialist and an attorney will be in touch soon.